The voters have spoken in both the Veteran’s Committee (whatever they call it today) and among the writers. There are six new member of the Hall of Fame. In keeping with my traditional use of nine, here’s a few thoughts on the class of 2019. 1. Congratulations to Harold Baines, Edgar Martinez, Roy Halladay, Mike Mussina, Mariano Rivera, and Lee Smith on their election to Cooperstown. 2. I’m gratified to see someone finally get all the votes in the BBWAA election. I’m certain Mariano Rivera shouldn’t have been the first (see, Ruth, Babe; Aaron, Henry), but I’m happy someone finally made it. 3. Mike Mussina came as close as you can to failing enshrinement. That’s a shame, he was a terrific pitcher who, like Sandy Koufax, quit when he seemed to still have plenty in the tank. I’d have liked to see more of him, but he made the decision he felt best for himself. So far, he doesn’t have the same glow as Koufax (as a pitcher who went out on top). 4. Harold Baines still is an awful choice, but I hope he, his family, and his fans enjoy the induction ceremony. 5. Both Roger Clemens and Barry Bonds failed inclusion again. They each got around 60% of the vote (actually 59.5 and 59.1). Clemens turned out to receive two more votes than Bonds. I’m not sure how you justify voting for one and not the other and I do not expect the 2 guys who did to explain it. 6. Which leads to the question, are they ever getting in? There are too many variables for me to make a valid prediction, but my guess (and that’s all it is) is that both will either make it in their 10th and final try so that the writers can say they punished them as long as the could, or that the writers will kick the can down the road and let the Veteran’s Committee make the call. That call will, of course, depend on who the preliminary committee puts on the ballot. That action should tell us what the keepers of the keys to the cathedral think of Clemens and Bonds. 7. Curt Shilling came closest to getting in of all the people not chosen. He’s moving steadily up and has three years remaining on the ballot. I think that bodes well for his election. Listen, I don’t think much of his politics, and I’d hate for him to espouse them at a Cooperstown ceremony, but enshrinement should be based on his career, not his politics. 8. Larry Walker has one year left on the ballot and made a major jump this time. Maybe he makes it in 2020. 9. Fred McGriff missed out for the 10th and final time. Look for him to appear on the next ballot for which he is eligible. With the support he got this time, there’s a good chance he gets in (see Smith, Lee). Alright, I know you people have been breathlessly waiting to see who I think the writers ought to add to the Hall of Fame. Well, not being one to disappoint, at least not too often, here we go. As usual, I figure if they’re going to give me 10 votes, I’m going to take them. 1. 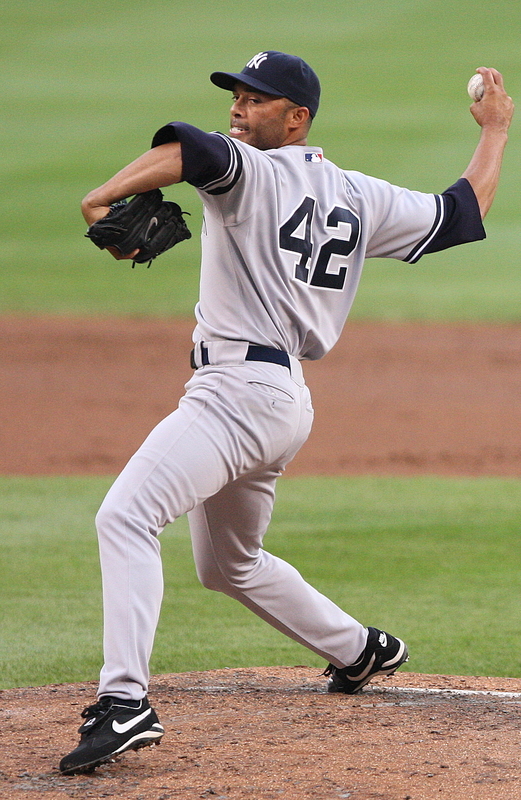 Mariano Rivera–if you have to ask why, you haven’t been paying attention. 2. Todd Helton–will be hurt by playing in Coors Field and being a gap power guy, but he was a good first baseman and an excellent hitter. I think he ought to be in, but I also think it may take a while. His WAR is 61.2. 3. 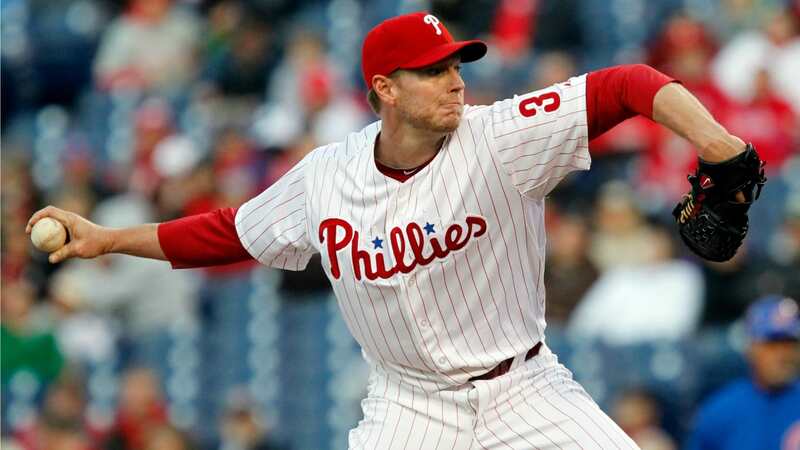 Roy Halladay–first off, the playoff no-hitter will help a lot. Not getting a ring may offset that. His 65.5 WAR will help, as will the two Cy Young Awards (and two runners-up). I’m not sure whether his death will lead to a sympathy vote or not. It seems to help some guys and not help others. I also think that some of the writers will focus on his two seasons with 20 wins, while on the other hand, he never won an ERA or strikeout title. 4. Lance Berkman–frankly I’m not convinced Berkman is a Hall of Famer, but he’s a player I really liked and I’d like to see him get a second (and third, and…) chance so the writers can get more time to evaluate him. A winner with both Houston and St. Louis and a valuable member of the 2011 World Series winner. He also has an RBI title and one doubles crown (both with Houston). 5. Edgar Martinez–sorry, guys, but designated hitter is a position and he was the best at it. It’s also his last chance before the Veteran’s Committee. 6. 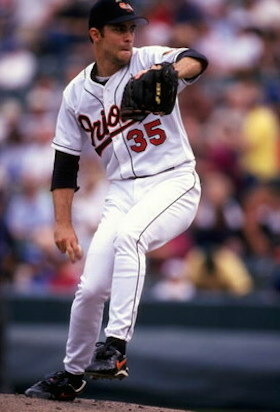 Mike Mussina–has a lot of good stats, both traditional and new age. For the old guys, he has a lot of wins. For the new guys his WAR is 82.9. He has one wins title and one 20 game win season (not the same season). A knock on him is that he was never a member of a championship team. 7. Curt Schilling–certainly was a member of championship teams, three of them. He is instrumental in breaking “The Curse of the Bambino” (if you believe in things like that), and he has the “Bloody Sock” (which is kinda like the “Bloody Shirt” after the Civil War). He also led his league in both strikeouts and wins twice. His WAR is 80.6, which exceeds a lot of Hall of Fame pitchers. But he has political opinions that are, in some quarters, unacceptable. He’s not being chosen for the Hall of Great Political Scientists, fellas. There are a lot greater rogues in the Hall than Schilling. I think it will probably hurt him at least one more time. 8. Scott Rolen–a much better third baseman than most people realize. He followed Mike Schmidt, wasn’t Schmidt (neither was anyone else), and was never forgiven for it. He did pick up a ring in 2006 with St. Louis (and had a fine World Series). I’ll bet most people don’t know his WAR is 70.2. He was a Rookie of the Year, but never led his league in any major hitting category, but he does have seven Gold Gloves and unlike a lot of winners, deserved most of them. 9. Larry Walker–super arm and a terrific hitter, but he, like Helton, played a lot of his career in Coors Field. He won an MVP and two batting titles there. He also moved to St. Louis late in his career and did well. He hit .357 in his only World Series (a loss). Unfortunately, he has no huge home run number nor RBI number to impress writers, but a 141 OPS+ and 72.7 WAR ought to get someone’s attention. 10. Jeff Kent–has an MVP, but it was controversial at the time. Has a lot of home runs for a second baseman, but wasn’t all that great a second baseman. He made one World Series (two years following his MVP year) and had a good series, but the team lost. He has the advantage of being arguably the best second baseman of his era. Not sure that’s enough to get him elected, certainly not this time. So there it is, my list. And if they don’t all make it, the writer’s are wrong (and I’m, of course, right). My guess is we’ll see about 3 elected this time (just a guess). 1. First, congratulations to Jack Morris, Alan Trammell of the Veteran’s Committee and Vladimir Guerrero, Trevor Hoffman, Chipper Jones, and Jim Thome on election to the Hall of Fame. 2. There is a certain amount of hope for both Edgar Martinez and Mike Mussina for next year. Both showed a rise in percentage of votes, with Martinez landing over 70%. He ended up 19 votes short of election. 3. The bad news for Martinez is next year is his last year on the writers ballot. At 70% it should still be relatively easy for him to make the Hall. 4. The next three guys down ballot were Curt Schilling, Barry Bonds, and Roger Clemens. The one I’m most interested in is Schilling. It seems his post career activities are hurting him (some writers admit it) and I’m not sure whether to accept that as a legitimate concern or not. The “character clause” is so ill-defined as to allow for about anything to be considered “good character” or “bad character” and doesn’t seem to know whether those definitions (such as they are) involve on the field issues, baseball related issues, or just about everything a fellow does. Is having unpopular political views “bad character” or not? Is cheating on your wife “bad character” or not? I have my opinion, but it’s strictly my opinion and it seems the Hall is allowing every voter to have his “my opinion” and that leads to all sorts of swings in meaning. Personally, I presume the “character clause” to relate strictly to those things that directly effect a player’s baseball career. I’m not sure how much Babe Ruth running around on his first wife changed what he did on the field (maybe yes, maybe no). I do know that Joe Jackson joining in throwing a World Series (and that’s 100 years next year) effected baseball. I also know that we may not think much of Ty Cobb’s views of race, but in 1910 a lot of people agreed with him (it’s possible to say he was even in the majority in 1910), so we have to be careful how much the standards of our time effect how we look at players who played even just a few years back. 5. The purging of voters and adding of new guys didn’t seem to help either Clemens or Bonds much. They’re up a little with four years remaining on the ballot. It will be interesting to see how much movement there is over the four years. It’s possible they’ll get there in four years, but I’m still betting on the writer’s kicking it to the Veteran’s Committee and letting them make a final decision. That could be particularly interesting as the Hall does present the Committee with a ballot and forces them to confine their vote to the 10 people listed. The appearance of any of the steroid boys on a ballot (McGwire would come first) will tell us something about the Hall’s own stand on the issue. 6. 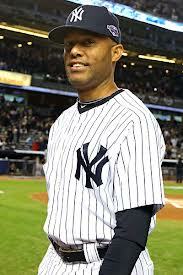 Next year is a walk over for Mariano Rivera. The guy I’m most interested in his Todd Helton. He played in Colorado and that seems to matter a lot to voters. We’ll see what happens (see Walker, Larry). 7. I love the idea of “light” votes and “dark” votes. That’s the way they’re describing the votes. Light votes are those that were published prior to election and dark votes aren’t. Kinda catchy. I wonder if anyone’s tried to use “Hey, kid, I have a dark ballot for the Hall of Fame” as a pickup line? The Hall elections are always fun and next year promises more of the same. Ain’t it grand? So I see that Derek Jeter is hanging it up at the end of this season. That’s both good and bad. It’s, frankly, time for him to go, but it will cost MLB its face (which isn’t really David Wright, despite the recent poll) and the most recognizable player of his generation. He’ll get to make a grand tour, get lots of gifts (but try to top Rivera’s broken bat rocking chair), a ton of applause and adulation. Then he’ll ride off toward Cooperstown, making it in five years. It’s really a fitting way for him to leave us. Ever notice how some players just have an aura about them? Ruth had one, so did Mantle. Koufax has it to a lesser degree. Well, Jeter has one too. He is “The Captain” the rock around which the Yankees built their latest dynasty. He’s the man with “The Flip” (which is still probably the best fielding play I ever saw). He is “one of the five greatest Yankees ever.” You hear all that don’t you? Well, hang on a minute. Without trying to diminish Jeter’s legacy, which is formidable, let’s not get too carried away here. It’s not like he’s the first captain the team ever had. Gehrig was team captain too and Gehrig was a better player. If Jeter was the rock on which the latest Yankees dynasty was built, then he had a lot of other rocks around to hold up part of that foundation. There was Pettitte, Rivera, Posada (the so-called “Core Four”), and there was Clemens, and O’Neill, and Knoblauch, and Martinez too. 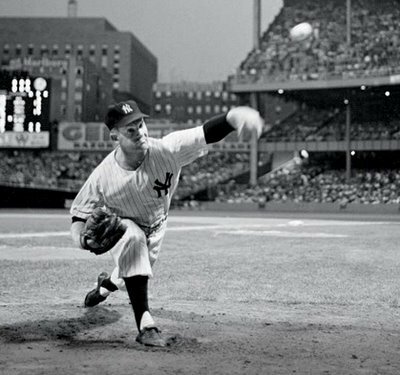 As for being “one of the five greatest Yankees ever” I suppose you could make that case for Jeter, although I’d rank him in the six through eight range, behind Ruth, Gehrig, Mantle, DiMaggio, and Berra and in line with Ford and Rivera. That’s not a bad place to be, all things considered. He’s probably a top five to ten shortstop (certainly behind Wagner and Ripken) depending on how you categorize Banks and Yount. He was never Ozzie Smith in the field, but then neither was much of anyone else. Then it’s good-bye to Derek Jeter. The Yankees will miss him. I think a greater tribute is that baseball will miss him. So we now say farewell to the finest of all relievers, the second greatest Yankees hurler (behind Whitey Ford). As a Dodgers fan I find it difficult to say anything good about a Yankees players, but mostly there is only good that you can say about Mariano Rivera. He started as a setup man for John Wetteland, holding that position through in 1996 World Series. Then he took over the closer slot and became the greatest ninth inning pitcher ever. He’s a full season of saves ahead of number two on the list (Trevor Hoffman). He has 42 postseason saves, 11 of them in the World Series. His WHIP is 1.002 (and he’s still got a week left to lower it). Rivera was so good that in some ways what you remember are the failures. What I mean by that is simple. His successes are so common, so expected that most people couldn’t tell you a specific moment of greatness, But his failures are so few that they jump out at you and you remember them. 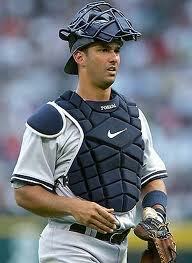 The blown save in the 2004 playoffs against Boston was mentioned when Rivera last played in Fenway Park. I remember the ninth inning of game seven in the 2001 World Series when Rivera threw away the ball and Arizona ended up winning the Series. But name another Rivera failure. They’re hard to find. I remember that immediately after the 2001 Series Rivera blamed the loss on Scott Brosius. Why do I remember that? Well, it’s the only time I remember Rivera not being a class act. That’s another thing to remember about him. He was always a classy player (so the odd time he wasn’t sticks out). Try and think of a modern player who did 19 years and was, with the one exception, entirely classy. Not many are there? That may be as important a thing to recall about Mariano Rivera as his pitching statistics. So now Rivera rides off into the sunset and sits on his porch in his broken bat rocking chair (one of the great gifts ever) and enjoys his retirement. In five years he’ll make the trip to Cooperstown for enshrinement. I hope he enjoys his retirement. He was better than we non-Yankees fans wanted. He was greater than we baseball fans could have ever asked for. Simply the top of the line. Enjoy your time off, Mo. I see that New York reliever Mariano Rivera is retiring. He’ll ride off into the sunset as the greatest ever relief pitcher. So here’s a few thoughts on him. He has the most saves of any Major League pitcher in both the regular season and in postseason (to include the World Series). I’ve never been too fond of the “save” stat because I think it’s way to broad (three innings in a not overly close game equals the same as coming in with two out in the ninth, up by a run with the bases loaded and striking out the clean up hitter). But it’s the best measure we have for a “closer” and no one ever did it better than Rivera. As someone who thought he’d seen the greatest ever when he saw Dennis Eckersley, that’s hard for me to say. Of course I should have known different because I once thought it couldn’t get any better than Bruce Sutter. As good as Rivera was (and still is) in the regular season, he was better in the pressure cooker that was the playoff system. He has 42 postseason saves (11 in the World Series). As a setup man his team won a World Series (1996). As a closer they won three in a row (1998-2000), then another in 2009. He’ll be remembered as one of the most important members of those teams. The Yankees also lost two World Series’ on his watch (2001 and 2003). Game 7 of 2001 is one of the most famous of all game sevens and the one time Rivera failed to come through in a critical situation. I’ve always faulted him for trying to shift the blame for his failure to Scott Brosius (Hey, Rivera, Brosius didn’t throw the ball away, you did. ), but it may be the only time Rivera didn’t handle himself with total class on the diamond. So he heads off to a sure date with Cooperstown in five more years. His position in the Yankees pantheon is secure. Among Yankees he is a top 10 player. Only players like Ruth, Gehrig, Mantle, DiMaggio, Berra are ahead of him (and maybe Whitey Ford depending on if you want a starter or a reliever) and he’s sure to see his number retired (that will make two retirements of 42 for the Yankees, same as with number 8) and see a plaque in his honor on the wall in left field. I wish him good luck (but not enough luck to win this year’s World Series) in his future. You were the best, man. 1. He was born in Kansas in 1887, moved to California with his parents, and ended up in Idaho where he pitched Minor League ball. 2. 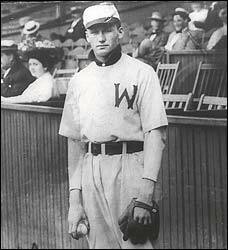 The “Big Train” was signed in July 1907 at age nineteen by the Washington Senators. 3. He wasn’t an instant success. He went 32-48 in his first three seasons. He did, however, have 395 strikeouts in 663 innings. 4. He hit his stride in 1910, going 25-17 with an ERA of 1.26 and 313 strikeouts (almost doubling his “K” total in one season). His ERA+ for the season was 183, and it was to get even better. 5. In 1912 and 1913 he won over 30 games each season, leading the American League in the latter year. He was to lead the AL in wins five more seasons, the last time in 1924. 6. He won strikeout titles every year from 1912 through 1919, then again in 1921, 1923, and 1924. He won the pitching triple crown (wins, ERA, strikeouts) in 1913, 1918, and 1924. The latter year he was 36 years old. 7. The Senators won two pennants while he pitched (1924 and 1925), winning one World Series (’24). Johnson went 3-3 with a 2.56 ERA and 35 strikeouts over 50 innings. He is one of only two Senators/Twins pitchers to win a road game in the World Series (George Mogridge is the other–see an earlier post). 8. When he retired he had 3509 strikeouts, 705 more than the second place pitcher (Cy Young). The record stood until 1983. He’s currently ninth. No hitter currently ranked in the top 96 in batter strikeouts faced Johnson. Babe Ruth, at 97th, has the highest strikeout total of any hitter who faced Johnson (Ruth’s highest single season total was 93 in 1923). Johnson compiled his strikeout total against players who didn’t regularly strikeout 150 times a season. Jimmie Foxx, whose rookie year was 1925, is next among hitters Johnson faced at 104th on the list (12 strikeouts ahead of David Ortiz). 9. Johnson retired after the 1927 season with 417 wins, 279 losses, an ERA of 2.17, a winning percentage of .599, the 3509 strikeouts mentioned above, 1363 walks, a record 110 shutouts, two MVP awards (1913 Chalmers Award and 1924 MVP), and an ERA+ of 147, fifth all-time, and third to Pedro Martinez and Lefty Grove among starters who pitched from 60’6″ (Reliever Mariano Rivera and 19th Century starter Jim Devlin are also both ahead of Johnson). 10. After his retirement he managed the Senators, didn’t do very well, managed the Indians (also without much success), did some announcing on the radio in 1939, and was in the initial class of the Hall of Fame. 11. He got into politics a little after his retirement (What? Playing for the Senators wasn’t punishment enough?). He was a county commissioner in Maryland and ran twice for Congress, losing both. He died in 1946 and is buried in Maryland. 12. 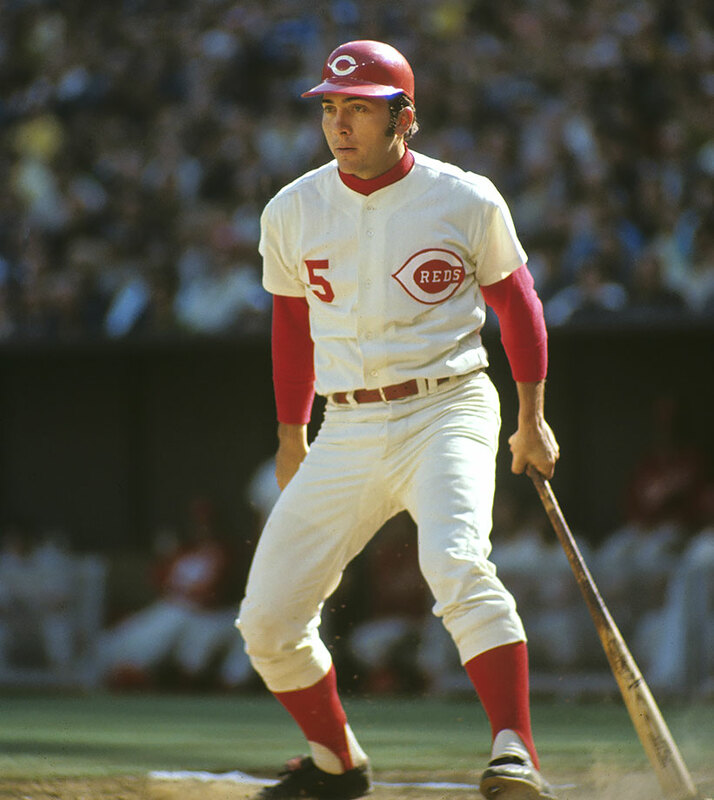 In 1969’s Centennial of Professional Baseball voting, he was chosen both the greatest right handed pitcher ever and the greatest Senators player.